The ability to make and use tools dates back to our earliest human forebears, and it was long believed that “man, the toolmaker” was the unique toolmaker. This claim for uniqueness was dashed in 1960 by the firsthand observations of Jane Goodall, a 26-year-old woman without a college degree. Goodall was born in England in 1934 and, as a child, developed a passionate interest in and love of animals and Africa. In 1958, Louis Leakey, a noted paleontologist, hired Goodall as a secretary in Kenya. Leakey was so impressed with her ability to organize his research notes into presentations, he sent her to observe chimpanzees in the Gombe Stream Game Preserve in Tanganyika (now the Gombe Stream National Park in Tanzania). Within three months after her arrival in 1960, Goodall made two startling discoveries: Chimps were believed to be herbivores, but on occasion they ate small insects. Moreover, she observed groups of monkeys hunt for and eat meat, such as young pigs and smaller monkeys. More dramatic was their use of tools. On another occasion, Goodall was observing a chimp feeding on termites, a favorite food. Thick grass blades were used to dig holes in a termite mound. The chimp repeatedly placed the grass stalk inside a hole, pulled out the stalk covered with insects, and then proceeded to use the lips to remove and eat the termites. SEE ALSO: Primates (c. 65 Million BCE), Anatomically Modern Humans (c. 200,000 BCE). 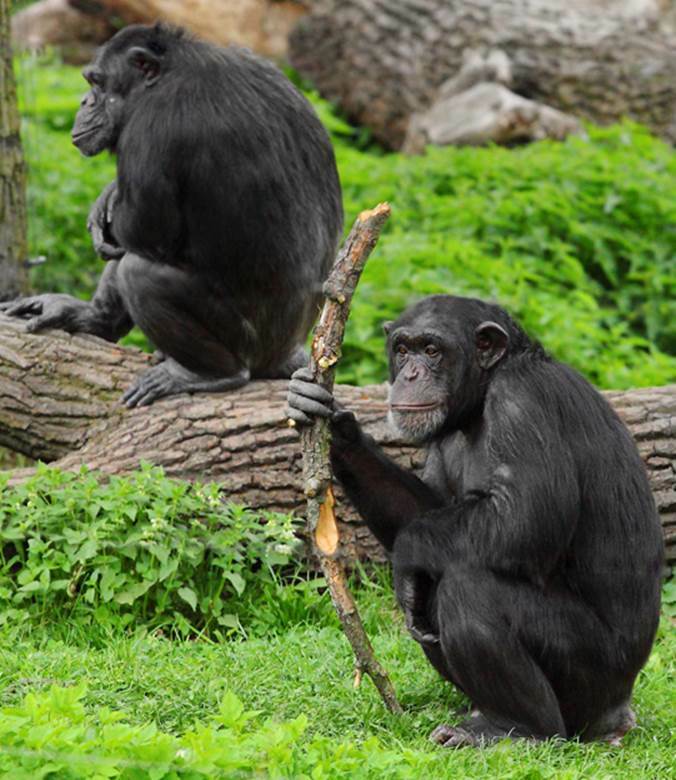 Before Jane Goodall’s observation that chimps use tools for food and water acquisition, it was generally believed that humans were the only species that made and used tools. Depending upon how one defines a tool, its use has also been reported in other mammals, birds, fish, cephalopods, and insects.